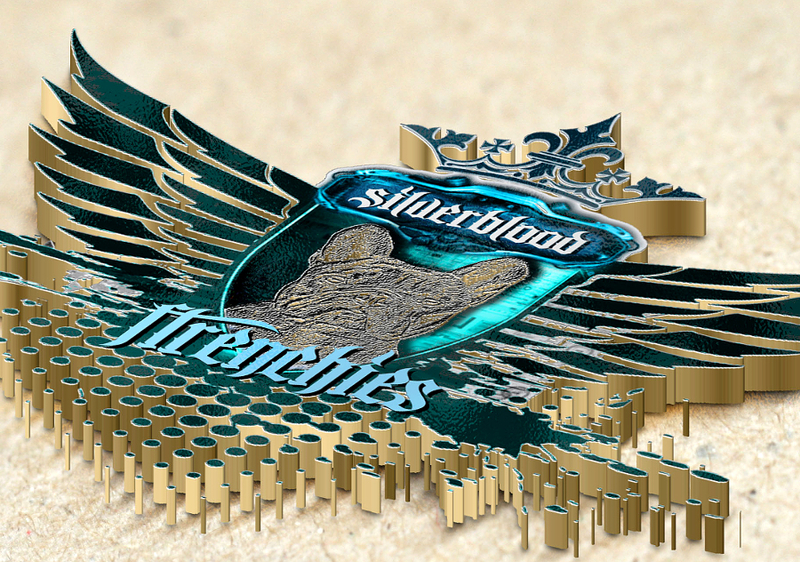 Here Silverblood Frenchies we provide a high quality of service to our customers. 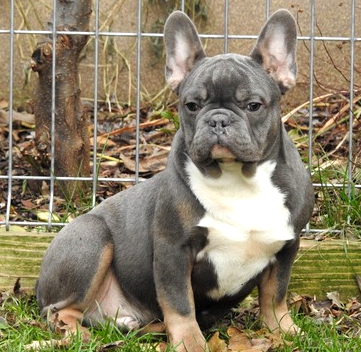 We are a reputable and trust worthy french bulldog breeder for over 12 years. Please see our testimonial page for more info. Our puppies are all very well cared for and are very healthy naturally. 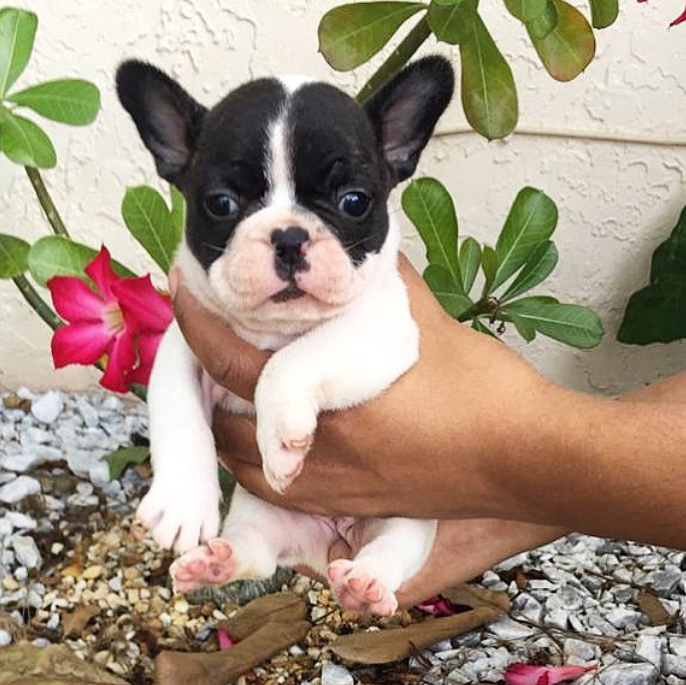 In addition our french bulldog puppies come along with a health certificate showing a clean bill of health and any administered vaccinations. 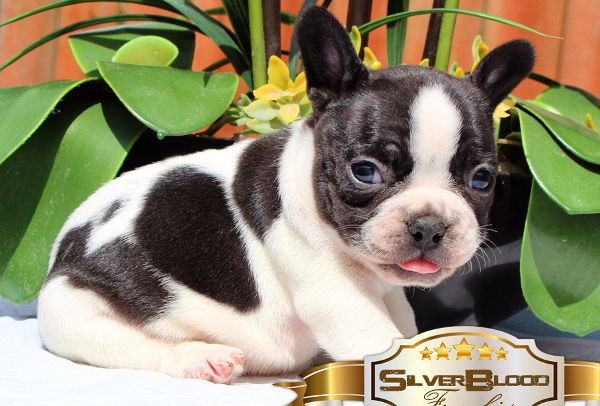 All of our dogs and french bulldog puppies come with American Kennel Club (AKC) registration. We also provide the option for no AKC papers when pups are sold as pets only, with no breeding rights. 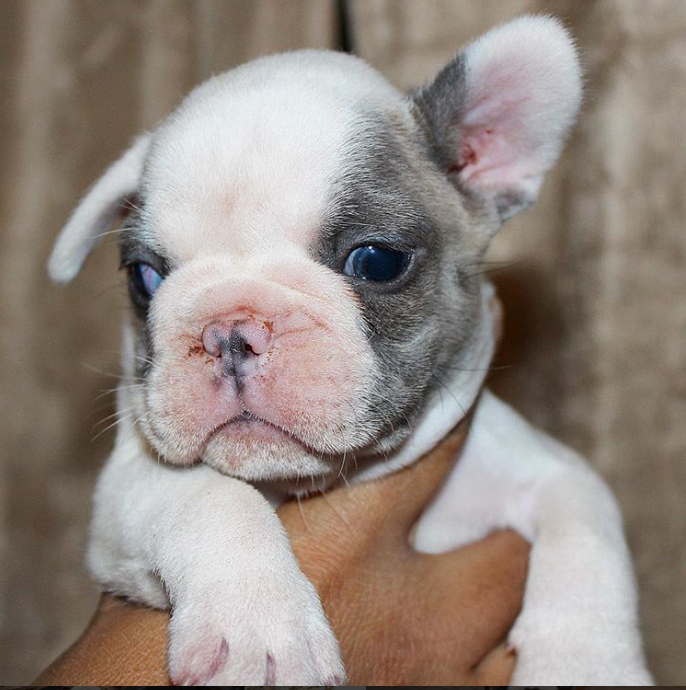 Eventhough our French Bulldog breeding program specializes in Blue French Bulldog puppies of all types, our program has also produced other colored French Bulldogs, such as blue fawn French Bulldog puppies, black and white puppies, chocolate blue blooded French Bulldog puppies and blue brindle French Bulldog puppies including blue pied french bulldog puppies of all variations. 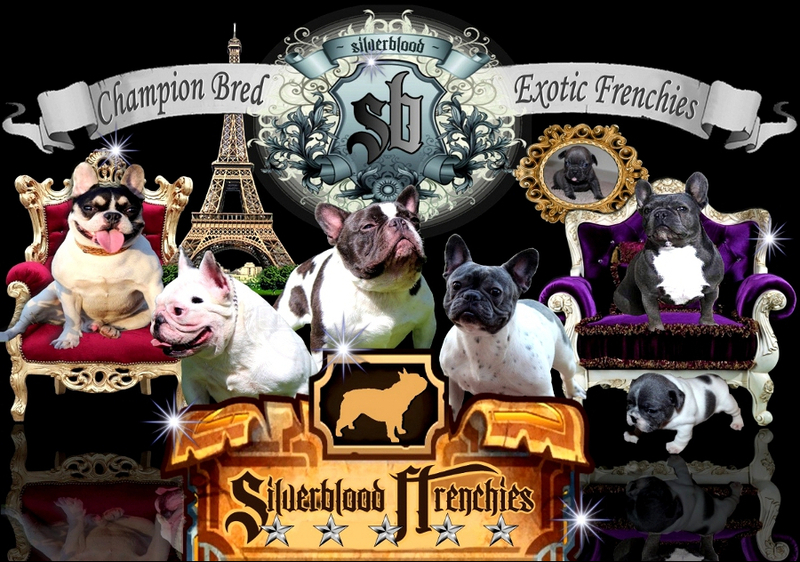 Every so often our Silver Blood Frenchies produces bully French Bulldog puppies that are born with redish coats and red noses also known as chocolate frenchies or liver colored french bulldogs. 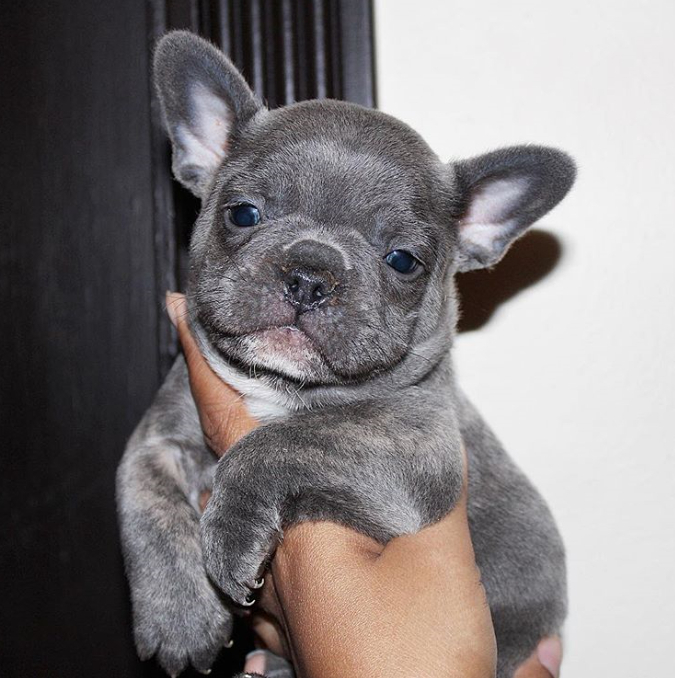 On rare occasions we have also produced very rare colored french bulldogs such as Black and Tan or blue tri french bulldog puppies and even Lilac French Bulldogs which are extremely rare and hard to come across. 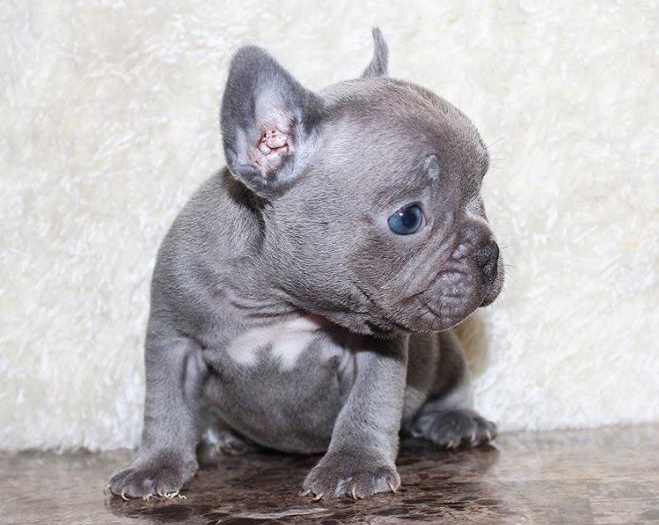 We also have Solid Blue French Bulldog puppies very often available for sale to good homes. Our puppies are sold as companion pets or with full AKC registratrion with breeding rights. 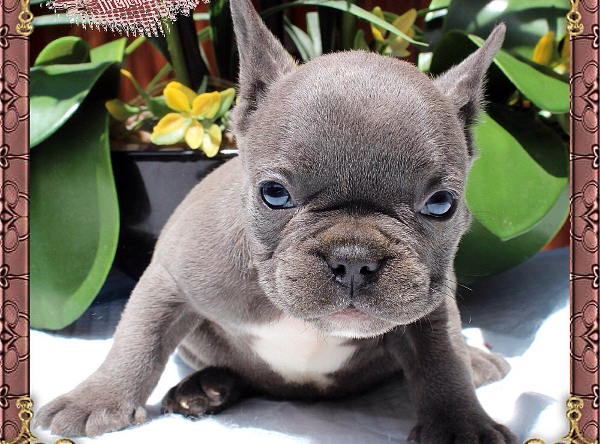 For the wellbeing of your beloved new Frenchie puppy, we strongly recommend you continue to include NuVet Vitamins in you puppy's diet for a healthier and happier pup. Feel free to contact us for more details! Short answer is, Absolutely yes! For the most part if the puppy is raised with a child (or any person for that matter), they will certainly be great with them. 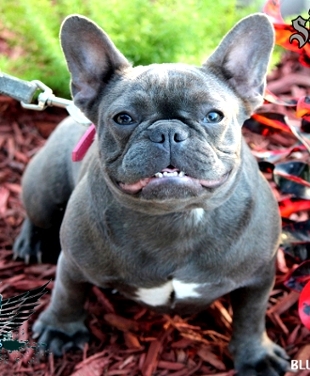 The french bulldog breed however is an exceptionally well mannered breed of dog and will usually be great with children at any age. Of course every dog is different and there's always an exception to every rule. That being said, good practices are properly training your frenchie pup from an early stage and correcting bad behaviors so that they don't develop into long term problematic habits is the key to success. Most frenchies that we have owned have been naturally good with other dogs of all breeds. However, every now and then we come across one that takes a little work to learn to "get along with others". I guess it's similar to children, they all have different personalities. While most are happy to socialize and share, some take a little while to learn the ropes and participate with good behavior. Good thing is, we have not come across any frenchies that have not been able to correct their "rudeness". Are they good with cats or other home pets? Similarly as with other dogs, for most frenchies cats are just another type of animal. For the most part they will get along with cats but some might take some time to get accustomed to a cat's different movements that they might not be familiar with. Also, introduction to a cat as a puppy should be fairly seamless and they should easily and quickly learn to love their feline companions. Well the differences are several and it really depend on you, the future owner of the frenchie. Most buyers already have a preference and should really be considered with time prior to purchase. Some of what we've noticed (but not necessarily always the case) is that males will gravitate to female owners and females tend to gravitate to male owners. Another thing to consider is their behaviors and mannerisms that are gender related such as possible marking territory for boys and menstrual bleeding for girls. 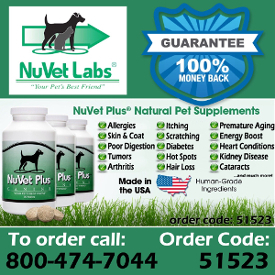 This relates to dogs that are not fixed mostly so that would be one easy way to take care of that and also contribute in your pet's health and longer living. Physical appearance is also another thing to consider in gender selection. Males tend to have larger heads and might be a little bigger/heavier in general. Body wise both can pretty much grow to be very similar in size and shape, thickness. Again all dogs have different personalities and you really don't know what type of dog your puppy will turn out to be as far as energy levels and very active dogs, so both genders can be comparable in that area.